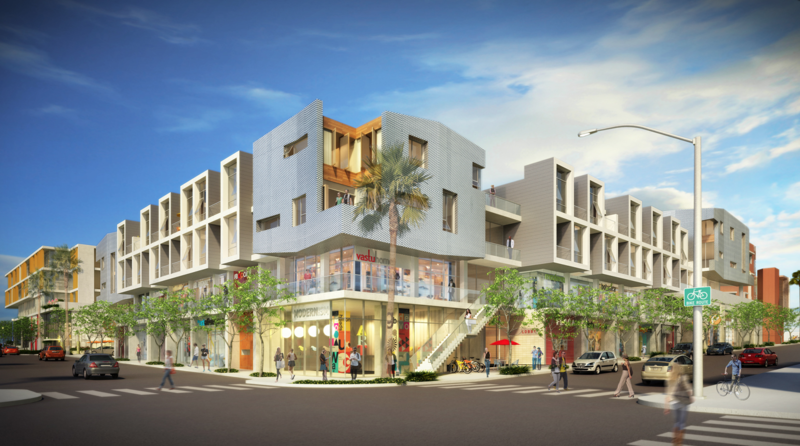 After three long years, West Hollywood’s Melrose Triangle development is finally moving forward. 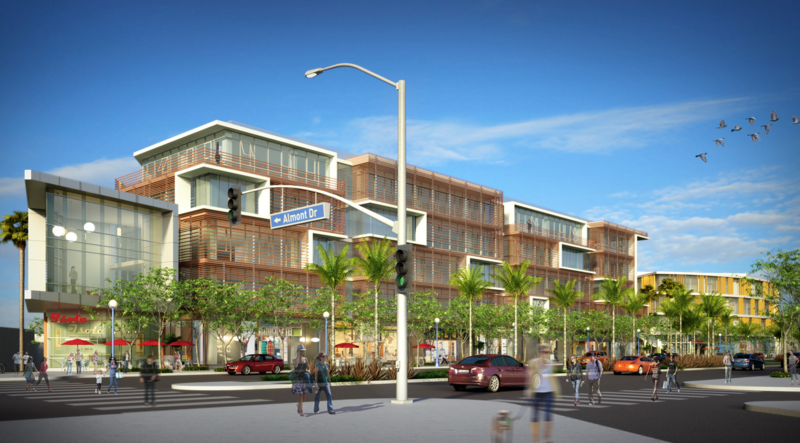 The Charles Company has issued 30-day notices to vacate the existing commercial building at 9060 Santa Monica Boulevard. 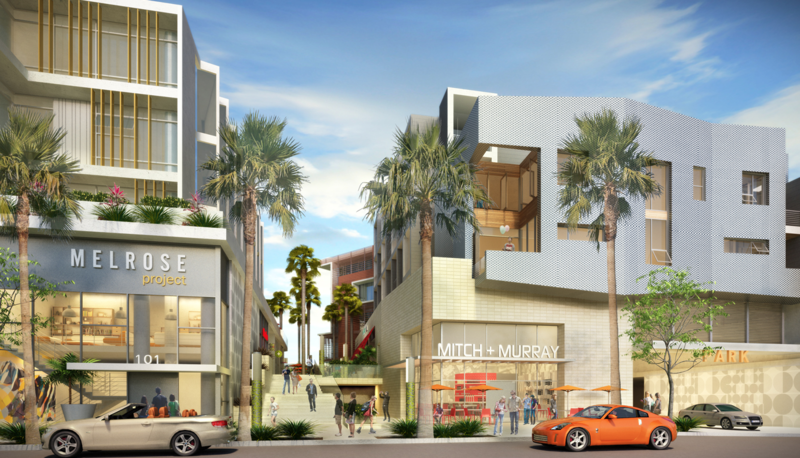 They intend to redevelop the 2.7-acre site with a four-story edifice, featuring 76 apartments – 20 percent of which will be set aside for moderate income households – in addition to 137,000 square feet of office space, 82,000 square feet of retail and parking. 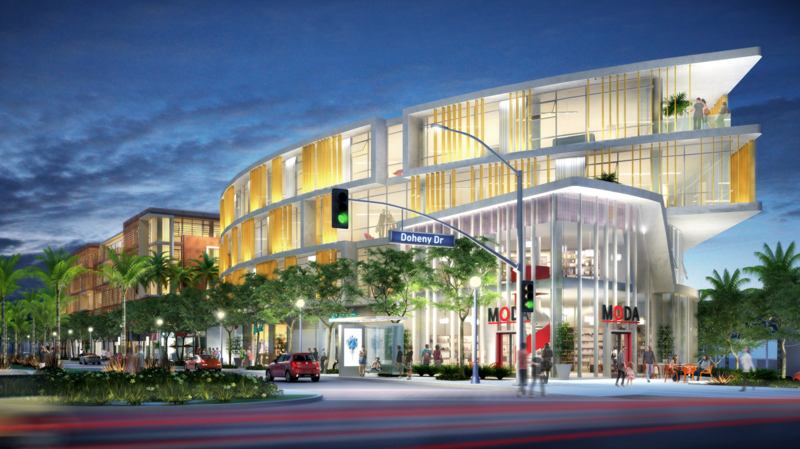 The average restaurant, art gallery and retail space will be less than 2,000 square feet, creating a boutique and vibrant energy to the project.